Will Keckley has the backstory concerning the basic necessities of making a rock wall appear on the side of one's house. Here I will outline the requirements of making our rock wall usable and safe. 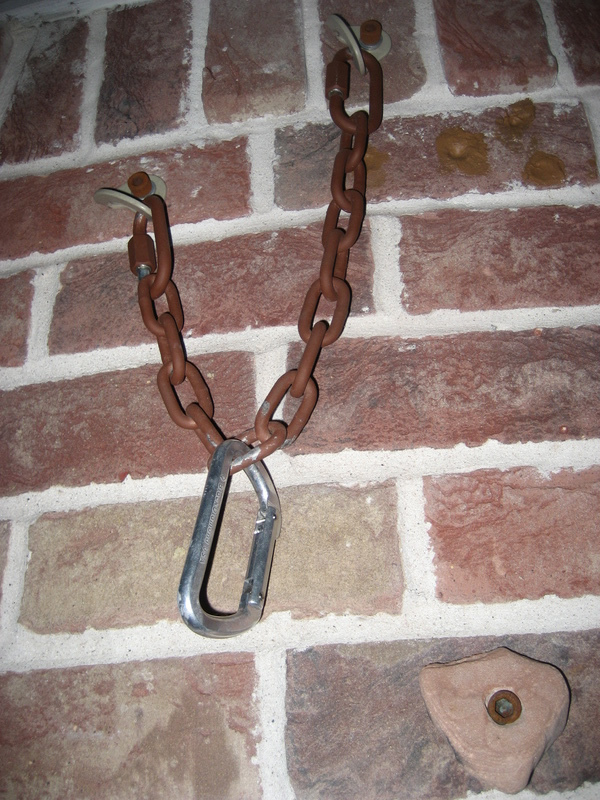 This is where the journey of placing anchors for use in top rope climbing come into play. Will felt as though simply putting a single bolt hanger would suffice for our needs. Well, it would suffice, this is true. However, I did not feel good about trusting a single bolt hanger during continuous use. At the very least I'd like to see a backup. After much deliberation and convincing on my part, we decided on a dual bolt hanger + chain setup. 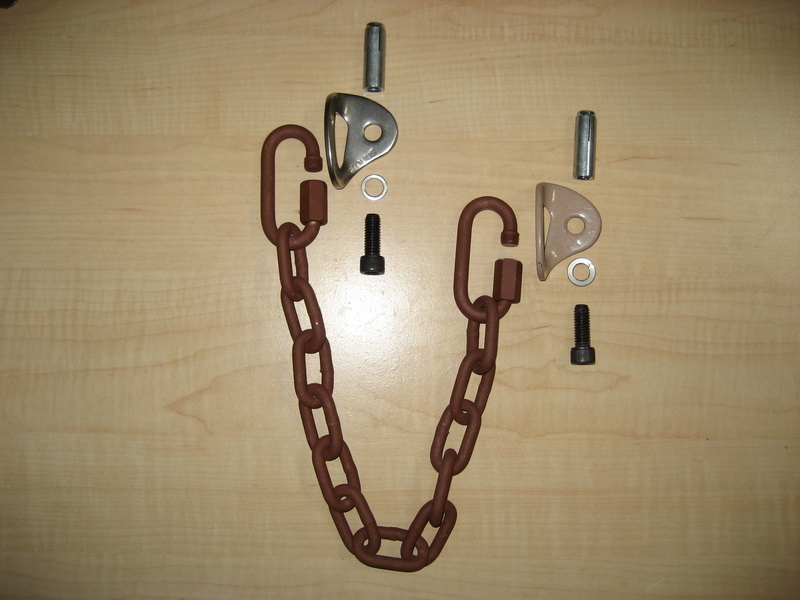 The two bolt hangers would be connected via chain, and then the carabiner would be hooked into the link that sat at the apex of the sagging chain. This way, not only do we have a backup bolt hanger, but the force exerted on either hanger is roughly halved during normal use. Hopefully lessening the potential for failure. It took many weeks, mainly due to me simply getting to Houston in acceptable weather, to get the materials gathered, prepped and anchors put on the wall. Now that our safety is ensured, its time to set routes!